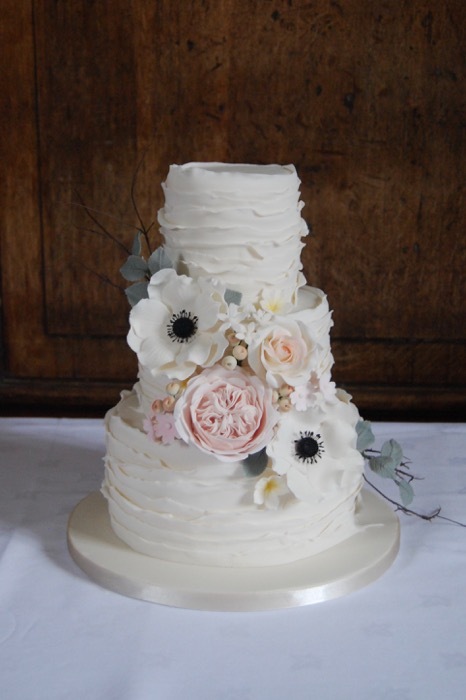 4” 6” and 8” round tiers. Fondant textured tiers. 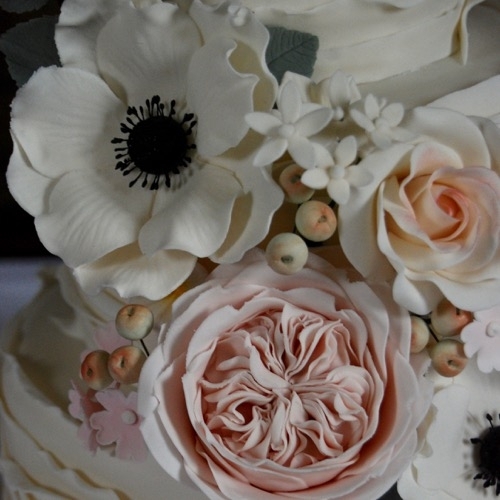 Handmade sugar roses, anemones, foliage and filler flowers.